Following up on my earlier article, "Tradition for Innovation," Faith and Leadership at Duke has just published my new article, "The Gift of Constraints." 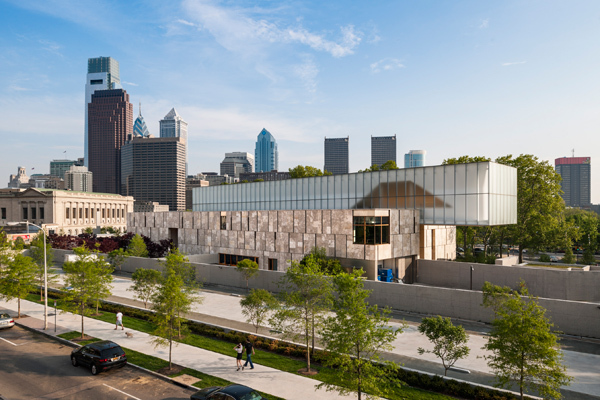 The article is a take on the new Barnes Foundation building in downtown Philadelphia, reading it as a kind of material allegory or parable for leadership lessons. As you'll see from the article, the architects had to work with odd, stringent constraints; but rather than shutting down creativity, the constraints invited innovation. Let’s face it: all of us inhabit institutions that we would have built differently. We inherited policies and procedures and even physical plants with aspects that we’d happily do without. Sometimes we bristle under the constraints put upon us by founders and historical bodies that could know nothing of our contemporary challenges. Many of us have probably daydreamed what it would be like to be free of such constraints -- to “re-imagine” the institution from scratch. Then, we tell ourselves, we’d really be free to push forward our mission and vision. But now, in the real world, these constraints are like millstones, anchors dragging on the bottom as we try to steer the ship forward into new waters. Could we ever imagine receiving such constraints as gifts? Indeed, is it possible that the constraints of handed-down traditions could be catalysts for creativity and imagination? Read the rest of "The Gift of Constraints" at Faith and Leadership.